Having lost my wife late last year it probably goes without saying that 2013 has been an unhappy year for me, save the joy our little boy has continuously brought. But earlier this week it occurred to me that maybe I have been trying, perhaps subconsciously, to channel my unhappiness into something positive for my son’s future. Jackson was only two years old when his mummy was killed, and the thought of him growing up without being given the opportunity of understanding the kind of woman she was breaks my heart. So I’ve written a book dedicated to him, which I’ve just finished, and I’ve published nearly 200 posts on this blog to help him learn more about the life and loss of his beloved mother when the time is right. This particular post is a letter to Jackson, which I will give him as a gift for Christmas this year. One day you may ask yourself what your mummy (would have) wanted for you in life; it occurred to me just the other day that I would ask the same question if I had been left in your position at such a young age. And although she won’t be here to tell you for herself as you grow, fortunately I already know the answer. Your mummy and I chatted all the time and our favourite subject was always you: how mischievous you’d been, how clever you seemed, how loving and unbelievably cute you were, how attached you were to her, how cross you often seemed to be with me, how since you’d come along I was no longer allowed to touch her (according to you). But mostly we talked about what a great life you were going to have; what a great life we had planned for you. And although the life we had planned for you has changed immeasurably from what we had in mind, I still want it to be great. I’ve thought a lot about what gift I can give you this Christmas, and I could think of none better than sharing my insight into what your mummy wanted for you. Most of all she wanted you to be happy. Happy was an easy word to use when she was still alive, but I’ve since learned that it’s impossible to be happy all the time. A wise man recently made a huge impact on me through his own words about happiness. He pointed out that what we all too often mean when we say we want to be ‘happy’ is that we are hoping to be constantly thrilled by the temporary rush or pleasure of new experiences. This feeling is something that we can get hooked on and, if we do, it’s as though we need to feed our addiction all the time. But constantly struggling to fuel the thrill makes ‘happiness’ progressively harder to achieve. And the excitement that we get from this sort of happiness is usually just fleeting anyway. After this incredibly difficult year, I now believe that if a constant state of happiness, as a kind of default setting, is the only thing we set out to achieve in life, then perhaps we’re destined to fail. And that’s because lots of things crop up in life that can bring us down: bad luck, challenging relationships, work (or the lack of it), money problems, set backs, knock backs, rejection, psychological issues, ill health, bereavement. I don’t aim to paint a sombre picture of life for you – the one person who has been able to consistently keep my gloominess at bay – but instead I want to explain what your mummy would have taught you about what happiness really meant to her. And about what I hope to continue to make it mean for you now that she’s gone. It means being yourself. It means being honest about your own feelings. It means making yourself understood. It means speaking your mind. It means making yourself heard. It means making other people happy. It means setting expectations for yourself and not trying to live up to the expectations of others. It means not comparing who you are or what you have to others either. It means taking your health seriously. It means trying to keep fit. It means looking after yourself. It means looking after others as well. It means slowing the pace sometimes to try to savour the joys that life has to offer. It means taking time out for yourself sometimes. It means finding ways to focus on drawing pleasure from the present moment and not fixating on what’s happened in the past or what may come of the future. It means taking time to reflect and to acknowledge what’s going on inside your own head. It means asking for help or support if what you find there makes you feel unhappy, anxious or low. It means not constantly striving for perfection. It means trying to find joy and beauty in imperfections too. It means looking out for others. It means nurturing relationships and keeping your favourite people close. It means keeping the company of people who make you feel good about yourself. It means making the people you love feel good too. It means making the happiness of the people you care about one of your goals too. It means having hobbies and interests. It means aiming to reach your potential. It means opening your eyes to what the world has to offer. It means setting goals, trying to achieve them, but picking yourself up and dusting yourself off if you don’t. It means enjoying your achievements but not allowing yourself to grow too self satisfied. It means trying to focus on the positive things about yourself rather than obsessing about what you see as your own shortcomings. It means doing your best to come to terms with the unchangeable. It means being kind. It means saying thank you to others. It means giving freely without the expectation of receiving. It means trying to be optimistic and sharing your optimism with others. It means being playful. It means having fun. It means laughing. It means singing. It means dancing. It means trying not to hate. It means learning to forgive. It means not allowing bitterness to take over your life. It means loving. It means being loved. God willing you will always have people in your life who will be able to tell you how much your mummy loved you. God willing I’ll be around to tell you every day. And God willing you will experience many of the things that brought happiness into your mummy’s life everyday for the rest of yours. Have a happy Christmas, Ben and Jackson. Beautiful words mate. and thats one beautiful little man you have got there. I know just how hard it was to go through the first christmas and all the firsts. But me and the kids are living proof that there is light at the end of the tunnel and you do come through it mate. and you and jackson will as well. So you make sure you have a good christmas the both of you ok.
A beautiful letter, thank you for sharing it with us Ben. This will be my second Christmas without my Dad who died suddenly last September. Life has changed irrevocably and it’s still hard to accept that I can never go back to ‘before’. However, I hope that you, Jackson, and the many other bereaved people who read your blog and gain strength and support from your insightful writing, will have a peaceful Christmas and will find some comfort in knowing that while our stories are individual, and our griefs all different, we are not alone in suffering and, I hope, neither will we be alone in experiencing some moments of happiness this Christmas. Merry Christmas to you and Jackson. Lovely letter. Why don’t you write it out in pen and in k then it can become an heirloom? 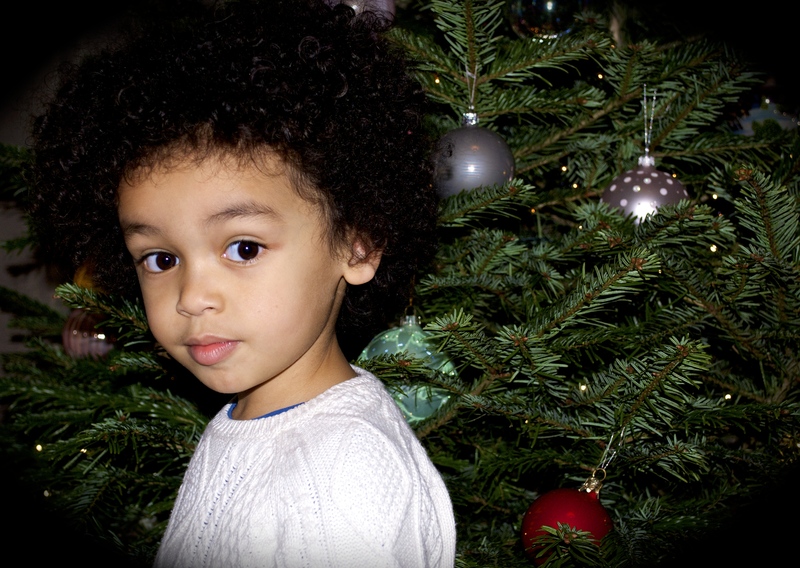 This entry was posted on December 12, 2013 by Ben Brooks-Dutton and tagged bereavement, children, daddy, Desreen Brooks, friends, grief, kids, letter, life as a widower, lifeasawidower, loss, love, male grief, mummy, toddler grief, toddlers, widow, widower, wife.